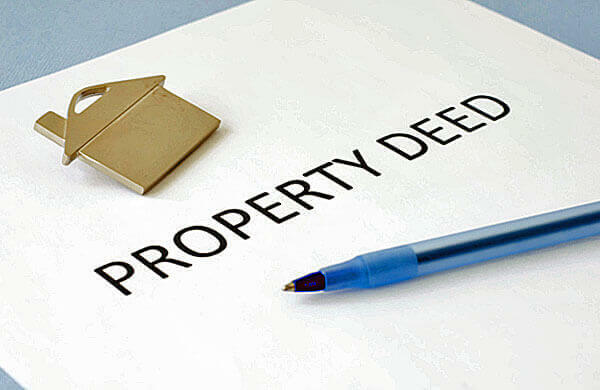 A property deed is the legal instrument which transfer interest in real property from grantor to grantee. There are different types of deeds. However each of them must have grantor, grantee,a property description and grantor’s notarized signature. Property Deeds are different than property title. Property title is legal ownership and a right to use the property. Legal ownership you can have as single individual or co-owner. Joint tenancy, tenancy in common, community property with rights of survivorship are examples of co-ownership. Grant deed is most common type of property deed. When a current owner transferring all or part of his interest to the third party grant deed is a proper choice. A grant deed in California has a limited guarantee of good title. That mean that grantor own the property at the moment of conveyance and has not transferred the same property to someone else before transferring to you. However there is no guarantee in the timeline before the present owner has acquired the property. A warranty deed guarantees that a property title is free of encumbrances, such as liens and mortgages. A quit claim deed does not guarantee the status of a property title.